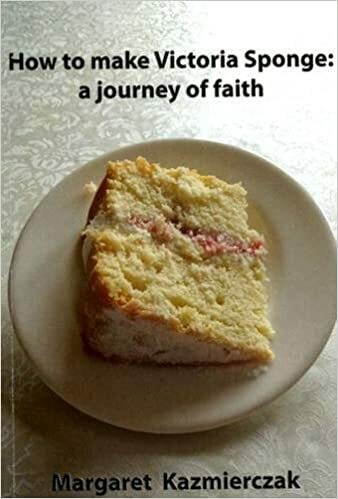 So prays Victoria Sponge in the book, How to make Victoria Sponge. She is responding to her son’s inability to find his school uniform and P.E. kit from under his duvet. Isn’t it funny how sometimes we call for help before we have even bothered to look? Or if you are like me when constructing something you don’t first read the instructions. Oh how often have I got into difficulty because I of this flaw? How more important it is with our life then, to pick up the instruction book and read the specifications so clearly written out for us? Yes it is easy for Victoria’s son to ‘ask’ someone else to find something for him without raising himself from the comforts of his bed, but that is not God’s way. He wants and expects us to raise ourselves to the summons of His Book. We can live our lives under the duvet and not bother to seek or, accept the challenge of looking for ourselves. Matthew 13:16 (NLT) “But blessed are your eyes, because they see; and your ears, because they hear. Let us pray that we will do this today. If you have not read it and you are looking for a faith filled non fiction book that puts God in the center of your life then you might find this an interesting read. for helping others to find hope in their life. has a special place for you in His Kingdom. an author, who would have believed it? the pages has people thinking. Not just thinking, but praying too. understanding God's in everyday life. 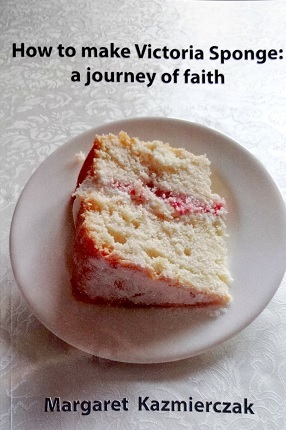 My Christian book called 'How to make Victoria Sponge' has just received another 5* review. It is so encouraging to read that a person has been moved to write a review. What a remarkable and enriching book - engaging, practical, funny, sad, powerful and poignant. It's structure and immediacy hooked me at once - I'd not read anything quite like it before. An entirely original way of writing about family, faith, and meaning. We all need encouragement in our lives and in our jobs. I pray that God will encourage you today to do the best you can for God's Glory and for His Kingdom. Looking back at my life I think it has been an incredible journey. Is that because I chose the exciting route over God’s path or that God chose to make good my mistakes? I suspect it was God’s hand sewing his golden thread through the tapestry of my life. On the right side the picture looks perfect, but underneath there are knots and twists that look worse than a doll’s matted hair which has been left to the elements. I love hindsight, because if I look at my life I can see how God brought me back in alignment with his will for my life. Not only that, the experiences of travelling a varied life has allowed me to empathise with those around me, who fall into the same holes that I have done. Without God intervening so many times, disaster would have been the norm. Instead of anger, compassion has become part of my life. And no matter where I walked or often ran, God was there at my side waiting for me to catch hold of his hand. He did not insist that I take His help, instead He quietly whispered in the wind, “I am here.” Did I hear that gentle voice? Sometimes, if I was listening. So often I was in the thrill of the moment. Then other times, down in the depths of a very long and dark tunnel thinking how do I fix this? The more I tried to untangle that matted hair the worse it got. I was the fix-it girl. Ever since I was young I would find solutions, often very imaginative ones. Most created through necessity. I relied on me and occasionally God, if I thought about Him. Now looking back, most of the ‘fix-its’ were actually God correcting my solutions in a very unobtrusive way. Through a thought or an idea. I was not alone, even if I believed I was. My mistakes were easy to correct for a God who created the universe and indeed they became the starting point for other more important work that God had for me. So He let me think I was in charge! Only a great Manager can do that. Then He guided me to where He wanted me to go. Oh how well my Father knows me. When you look at your life through God’s eyes an amazing transformation follows. Where you see hopelessness, God sees opportunities for us to grow. Where we see the ‘no exit’ sign, God sees an open road and longs to show us the route to Freedom. As an exercise write down or think of some of your experiences and see how they concluded. Can you see that golden thread travelling through the matted journey of your life? If so, give God the glory, for it is He that has been sewing His Kingdom into your life.